Address: Guanapay, 8, Puerto del Carmen (Lanzarote), Islas Canarias. Located just 150 metres from Blanca Beach in central Puerto del Carmen, these adults-only apartments have a shared fresh-water pool. Each one comes with free Wi-Fi and a balcony or terrace. 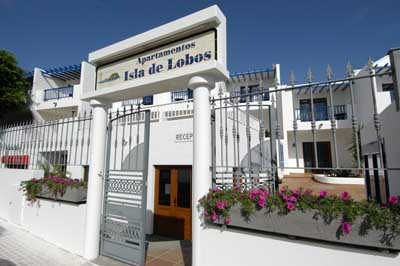 The modern, soundproofed apartments at Apartamentos Isla de Lobos feature a lounge with a sofa and satellite TV. The kitchenette includes a ceramic hob, microwave and a coffee maker. There is also a kettle and a toaster. The Isla de Lobos complex has a poolside bar serving snacks and drinks throughout the day, and room service is also available. You can walk to the seafront promenade in just 3 minutes, which takes you to the marina in 10 minutes. Biosfera Shopping Centre is 10 minutes’ walk away.